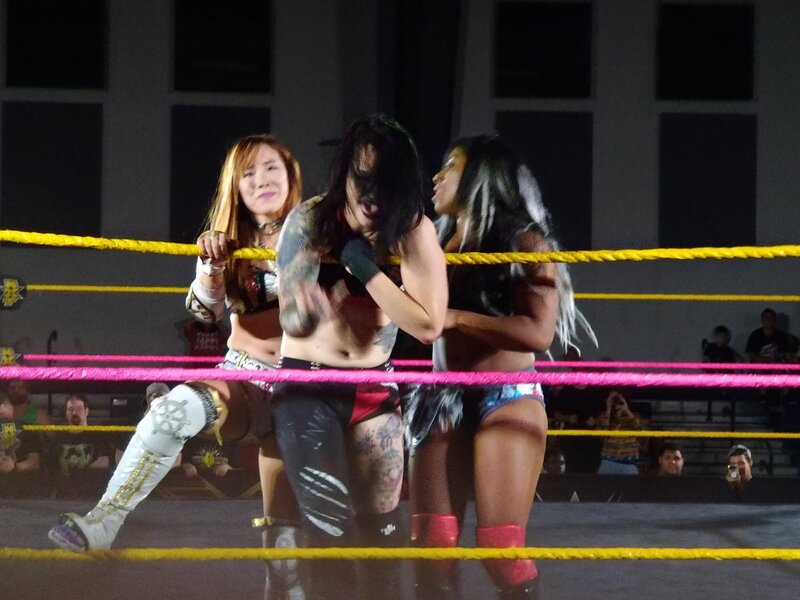 Approximately 150 people were in attendance as NXT came to Daytona Beach last night. Lail overpowered Rush for most of the match, but Rush rolled and stacked him up for the flash pin. Dijak used an impressive cyclone kick for a near fall at one point. Barthel shined as well, using a leg-trap backdrop suplex for the win. Bugenhagen was making his debut and informed us of that on the mic, saying he's now officially on the same level as The Rock and Steve Austin because they all had their first match. Sullivan destroyed him fast and came back to destroy him two more times at the crowd's encouragement. A running suplex got the win for Murphy. This had action all over the place. 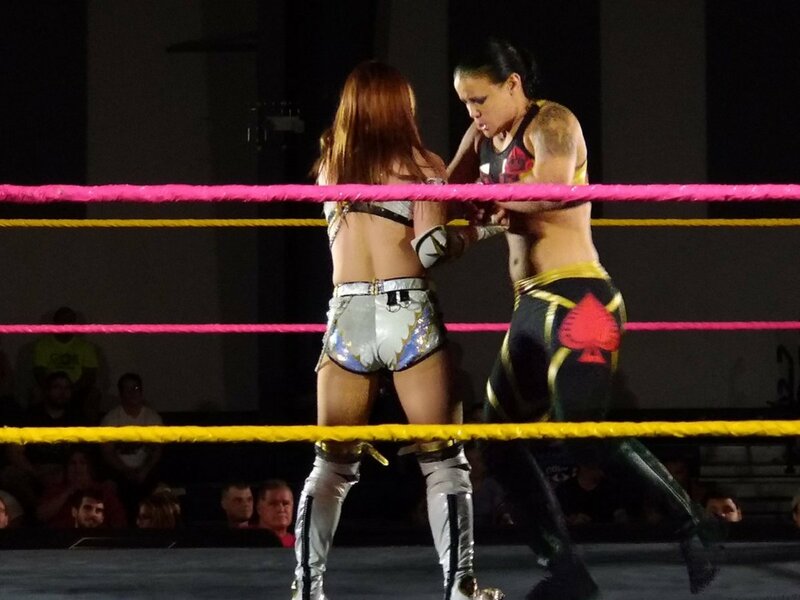 Sane and Baszler mixed it up often and continued to work great together. A parade of finishers left Moon alone and she put Ripley away with a kick. Burch got the submission win with a crossface. Morgan won with a leaping codebreaker. 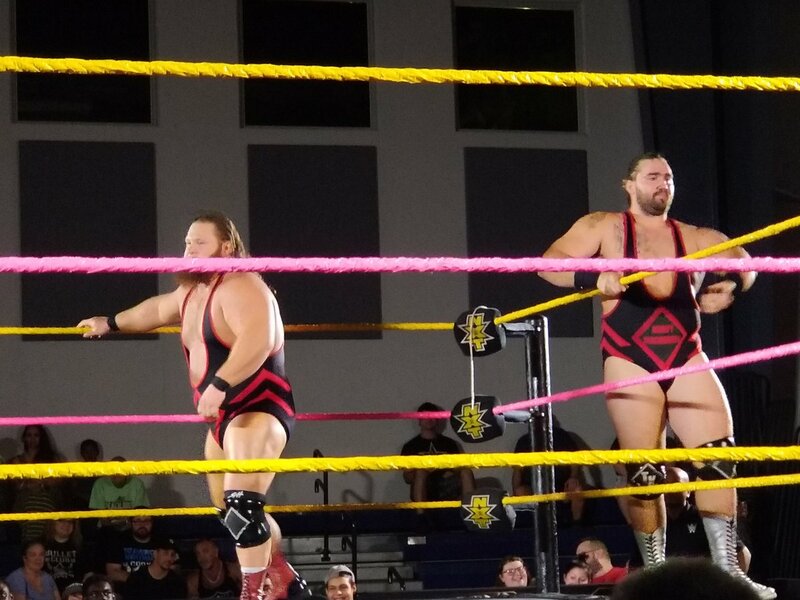 Heavy Machinery used their double team strongest slam to win it and send everyone home happy.